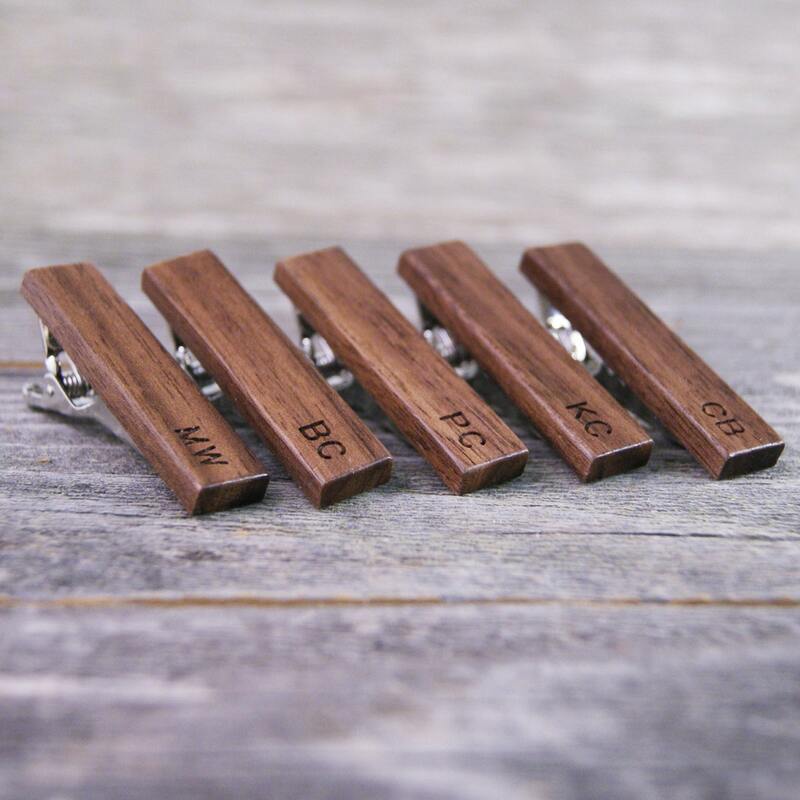 The rich, chocolate brown color of the American Black Walnut is front and center in this tie clip. The simplistic beauty of the wood brings a combination of style and warmth, and makes for a great conversation starter. 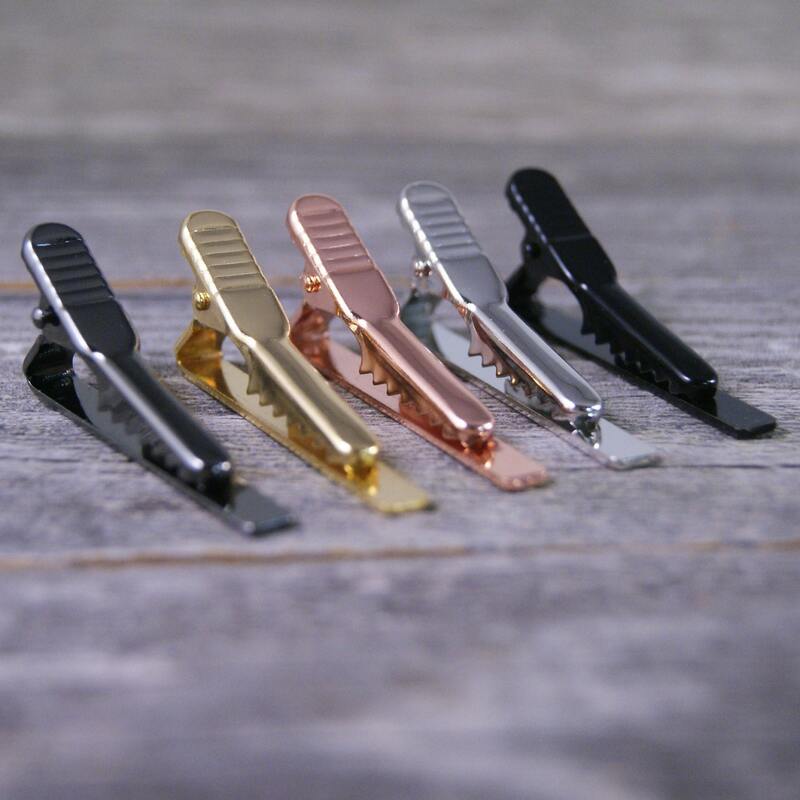 This tie bar is handmade by me, one at a time in my home shop. 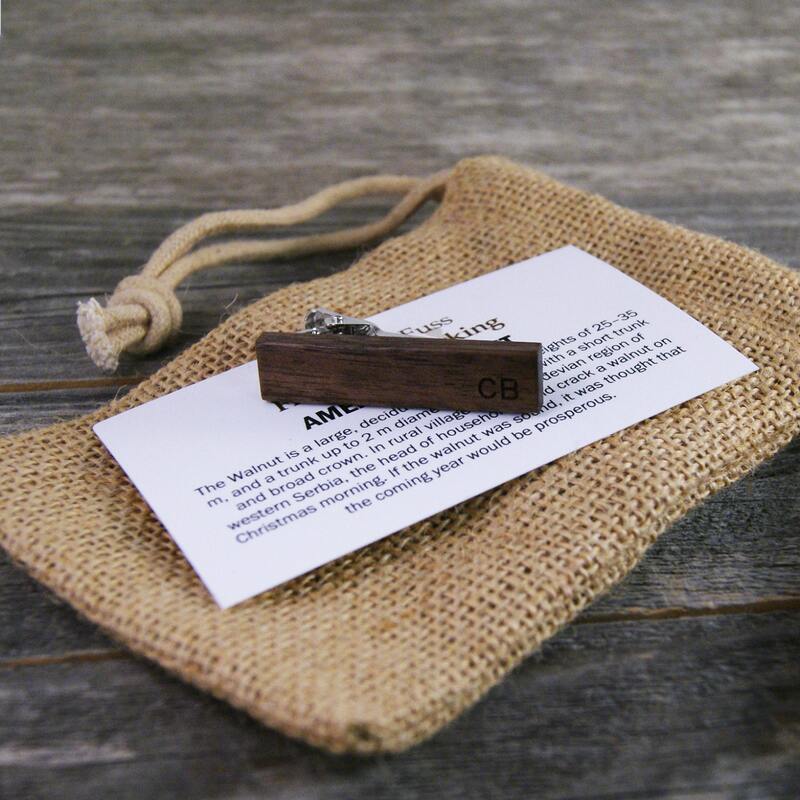 It measures roughly 1.6" long by 0.35" wide and is hand-buffed with a wax and shellac blend. 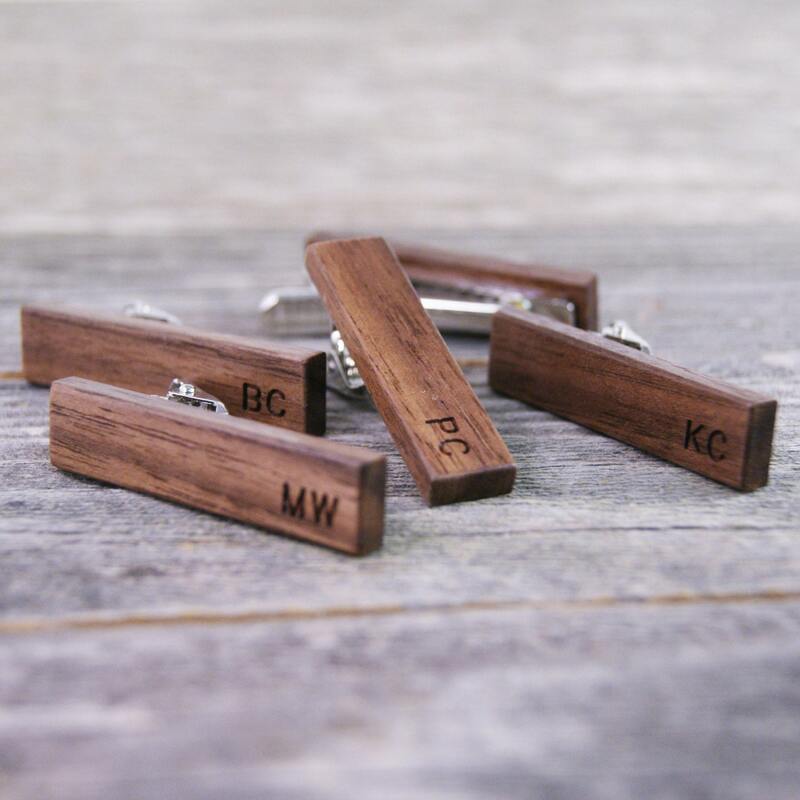 Engraving of your groomsmen's initials is included in the price! 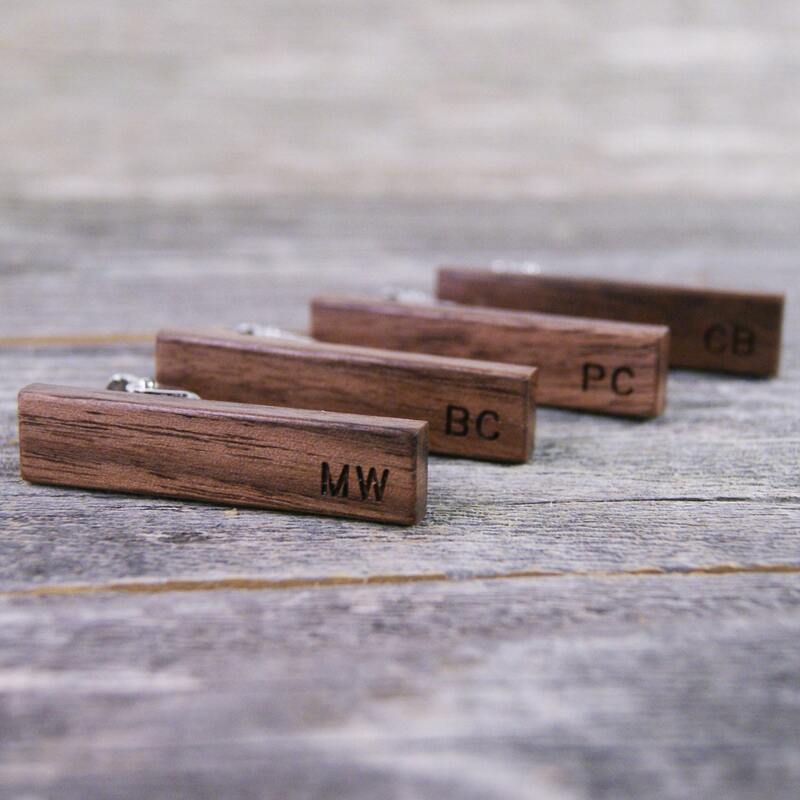 Please leave instructions and the engraving details in the notes to seller box at checkout, and please also put in your wedding date so I can make sure you receive them in time.